Annals of Paediatric Rheumatology. 2016; 5(3): 89-92. Annals of Paediatric Rheumatology. 2013; 2(3): 107-112. Annals of Paediatric Rheumatology. 2012; 1(1): 77-80. Acta Informatica Medica. 2018; 26(3): 201-206. THE EGYPTIAN JOURNAL OF EXPERIMENTAL BIOLOGY (Botany). 2018; 14(1): 1-9. Erlenmeyer Flask Bone Deformity in a Child with Polyarthritis: Could This be a Distinct Disorder? Annals of Paediatric Rheumatology. 2015; 4(1): 20-23. Annals of Paediatric Rheumatology. 2014; 3(2): 72-76. Cukurova Medical Journal. 2013; 38(1): 1-6. Rawal Medical Journal. 2007; 32(2): 193-196. Journal of Liaquat University of Medical & Health Sciences. 2014; 13(3): 91-92. Emirates Journal of Food and Agriculture. 2002; 14(1): 24-33. Emirates Journal of Food and Agriculture. 1997; 9(1): 34-50.
International Journal of Current Research and Review. 2012; 4(21): 82-90.
International Journal of Current Research and Review. 2013; 5(9): 16-23. Emirates Journal of Food and Agriculture. 2001; 13(1): 57-61. Emirates Journal of Food and Agriculture. 1991; 3(1): 81-95. Journal of Pakistan Orthopaedic Association. 2017; 29(4): 28-31.
International Journal of Medical Research & Health Sciences. 2014; 3(4): 880-885. Emirates Journal of Food and Agriculture. 2001; 13(1): 18-22.
International Journal of Medical Research & Health Sciences. 2014; 3(2): 401-410. Emirates Journal of Food and Agriculture. 2001; 13(1): 27-32. Sokoto Journal of Veterinary Sciences. 2014; 12(3): 37-41. Journal of Advanced Veterinary and Animal Research. 2014; 1(4): 216-223. Comparative Study of Ultrasound and Tens in the Management of Tennis Elbow. International Journal of Health Sciences and Research (IJHSR). 2015; 5(5): 216-221. Fathi A. A. , Al-Fredan M. A. Journal of Liaquat University of Medical & Health Sciences. 2014; 13(1): 27-31. Fundamental and Applied Agriculture. 2018; 3(3): 602-608. Journal of Pakistan Orthopaedic Association. 2017; 29(4): 5-11. Alexandria Journal of Veterinary Sciences. 2016; 51(1): 48-53. Journal of Applied Pharmaceutical Science. 2017; 7(6): 62-68. Rawal Medical Journal. 2005; 30(1): 46-47. Journal of Liaquat University of Medical & Health Sciences. 2008; 7(2): 97-101. Emirates Journal of Food and Agriculture. 2013; 25(9): 723-735. Journal of Advanced Veterinary and Animal Research. 2015; 2(1): 56-63.
International Journal of Reproduction, Contraception, Obstetrics and Gynecology. 2016; 5(7): 2130-2134.
International Journal of Reproduction, Contraception, Obstetrics and Gynecology. 2016; 5(9): 2973-2977. Emirates Journal of Food and Agriculture. 2012; 24(5): 444-455. Emirates Journal of Food and Agriculture. 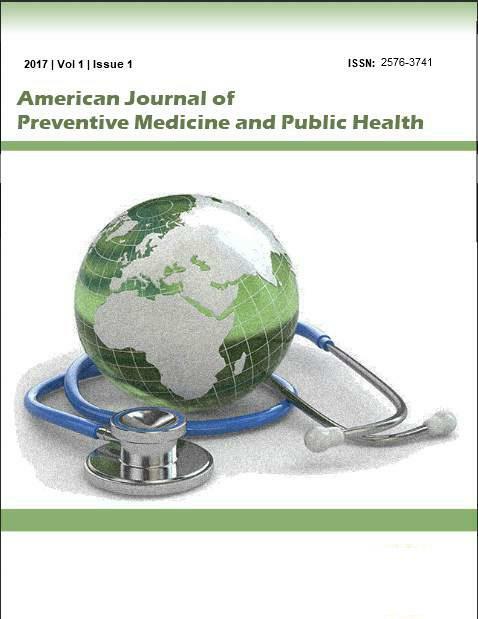 2012; 24(2): 105-112.
International Journal of Medical Science and Public Health. 2016; 5(4): 714-724. Emirates Journal of Food and Agriculture. 2012; 24(5): 470-479. Journal of Pakistan Orthopaedic Association. 2016; 28(2): 41-45.
International Journal of Surgery and Medicine. 2017; 3(2): 103-106.
International Journal of Reproduction, Contraception, Obstetrics and Gynecology. 2016; 5(12): 4146-4150. Emirates Journal of Food and Agriculture. 2012; 24(5): 371-385. Emirates Journal of Food and Agriculture. 2013; 25(11): 809-830. Gaziantep Medical Journal. 2012; 18(3): 139-142. Journal of Experimental and Integrative Medicine. 2013; 3(4): 293-297. Emirates Journal of Food and Agriculture. 2013; 25(11): -. Journal of Applied Biology & Biotechnology. 2017; 5(3): 18-22.
International Journal of Medical Science and Public Health. 2016; 5(10): 2154-2157. Emirates Journal of Food and Agriculture. 2012; 24(5): 415-424. Emirates Journal of Food and Agriculture. 2013; 25(7): 509-515.
International Surgery Journal. 2016; 3(1): 211-216. Narayana Medical Journal. 2013; 2(2): 107-115.
International Journal of Livestock Research. 2017; 7(1): 72-79. Rawal Medical Journal. 2016; 41(4): 467-470. Rawal Medical Journal. 2014; 39(3): 285-288. Rawal Medical Journal. 2016; 41(2): 153-159. Spatula DD. 2015; 5(2): 97-102. Rawal Medical Journal. 2016; 41(3): 291-294. Can cyclin D1 be utilized as a second step “after basal cell marker” for both diagnosis and prognosis of prostatic adenocarcinoma? International Journal of Medical Science and Public Health. 2016; 5(5): 886-893.
International Journal of Medical Science and Public Health. 2016; 5(11): 2385-2393.
International Journal of Medical Science and Public Health. 2015; 4(3): 408-413.